If you are looking to escape the hustle and bustle of the big city, but you still want top drawer luxury on your vacation, I have the ideal place for you. 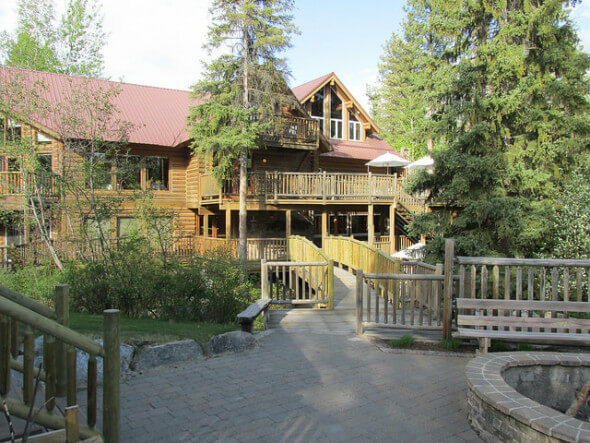 Triple Creek Ranch in the tiny town of Darby, Montana is, shall we say, delightful! This Montana hideaway also happens to be ranked the number one small hotel in the USA and the number three hotel in the world according to Travel & Leisure’s 2015 World’s Best Awards, if rating scales impress you. I’ve stayed here – twice – and I am a fan. The Relais & Châteaux all-inclusive property has earned its stripes, and stars. The place doesn’t miss a beat when it comes to understated hospitality. 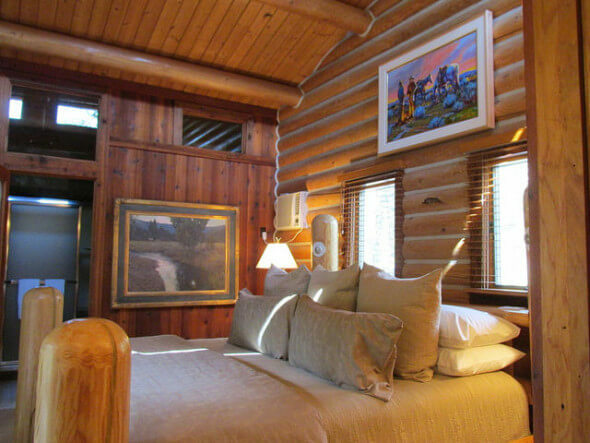 The adult-only Triple Creek Ranch truly does offer something for everyone, unless you crave the bright lights and fast pace of an urban environment. The only bright lights you’ll find here are the multitude of stars that shine in Big Sky country. A river does run through it. This picturesque setting is on the west fork of the Bitteroot river, bordering the CB Ranch. This is where you’ll find Iditarod Champion Jessie Royer and her husky sled dogs in training. If you visit Triple Creek in the winter, you’ll be able to take a sled dog ride! 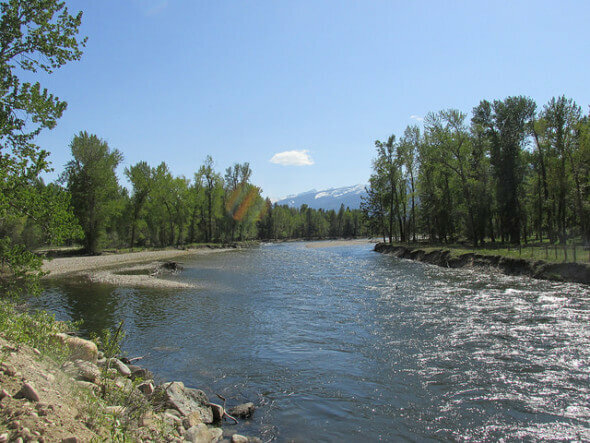 Seventy five miles south of Missoula, you won’t have much cell phone reception here, but you will be able to fly fish, horseback ride, hike, bird watch, have a massage and take a cooking class, or take a nap. 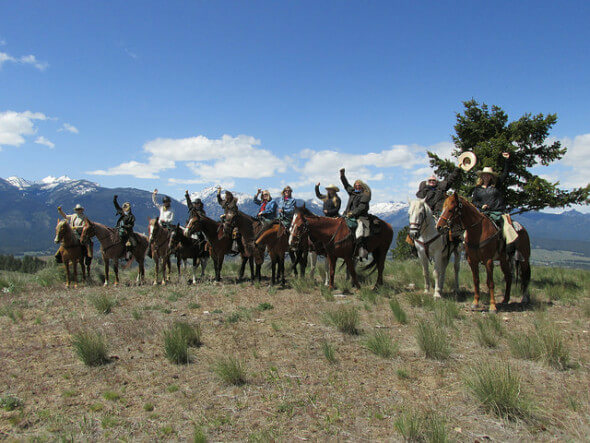 If you’re the type of person who likes an active adventure vacation, you might want to look into signature events at the ranch such as the Women’s Rocky Mountain Rendezvous, a great gift idea for the well-heeled horse lover. With 26 luxury log cabins on site, you’ll be able to select from cabins with hot tubs to creekside bedrooms or the Stage Stop apartment. 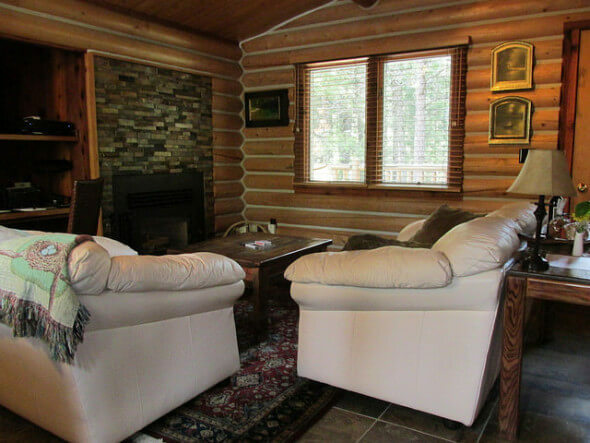 All cabins offer daily housekeeping, turndown service, complimentary wifi, direct satellite television and wood burning fireplaces. While Triple Creek does know how to host a gourmet picnic lunch, it’s the dinners that will have you coming back for more wine, or dessert, or conversation. The on site sommelier knows his wines, from single vineyard California Cabernets to small production Bordeaux varietals. Grab a specialty cocktail in the Rooftop Lounge and then wander around the lodge, taking in the western art collection. Rates range from $950 per couple, per night, with single supplement available, as well, depending on season and availability. Check the website for current pricing. Triple Creek Ranch review and all photos by San Francisco-based Travel Writer Nancy D. Brown. I was a guest of the Ranch during my stay in Darby, Montana.